The thrill of riding a motorcycle is incomparable. Nonetheless, it cannot be denied that it is also tiring, especially if you will be having long distance drive. Among others, you will most probably complain of pain in your hands. With this, it is important to invest in the best motorcycle gloves. 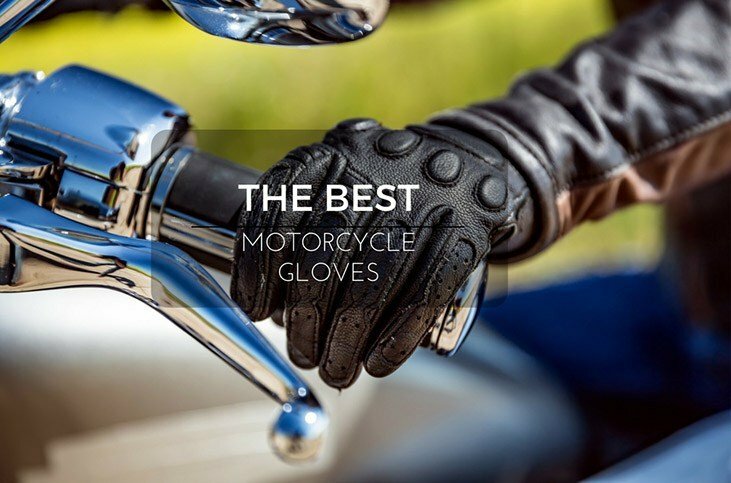 If you are searching for the best motorcycle gloves, keep on reading the rest of this post and we will provide you with insights on some of the things that you need to know, making it easier for you to come up with the right decision. Why You Should Wear Motorcycle Gloves? Why should you be wearing motorcycle gloves in the first place? It can be beneficial in more ways than one. For instance, it can provide the protection that you need from the possibility of suffering from cuts and abrasions. In the same way, it can also provide the insulation that you need when driving in the cold. 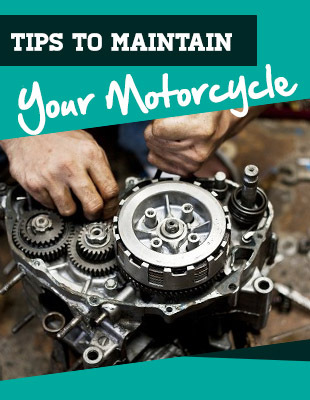 Most importantly, it improves your grip and it makes it easy for you to maneuver your motorbike. Race: These gloves are full gauntlets and they are often feature-rich, basically because they are used by demanding bikers. They provide a high-level of armor protection, making sure that your hands will be protected from injury in case of a high-speed crash. Another common characteristic is the presence of thin palm, which will be impressive when it comes to throttle control. Gauntlets: This is a term that refers to the design of gloves wherein it extends the covering all the way to your wrist. In the case of race gloves, they are designed this way to be able to improve their ability to protect you from crashes. For rain and winter gloves, on the other hand, such design makes it possible to prevent moisture. 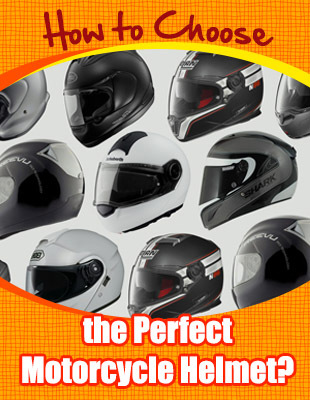 It combines excellent weather protection with crash protection. Summer: Also known as short gloves, they are constructed in such a way that they will be comfortable to be worn even during the summer season. Cruiser: This is a stylish glove, which is perfect for those who ride urban or cruiser-styled motorbikes. 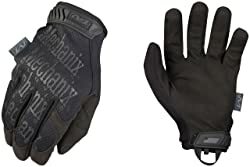 Adventure: Also known as touring gloves, they are basically meant to provide superior protection from extreme weather conditions, crashes, and moisture. Textile is one of the most common materials used for those that fall under this category. Rain: As the name implies, such gloves are known for their waterproof protection. Even if it is raining, they have the ability to keep your hands dry and free from moisture, and hence, you will feel more comfortable. Heated: If you are riding during the winter, this is probably the best choice for you. This will minimize wind chill and will provide the insulation that your hand needs. Fingerless: The name speaks for itself. They will leave the fingers exposed, but they can offer protection for the wrists and knuckles. 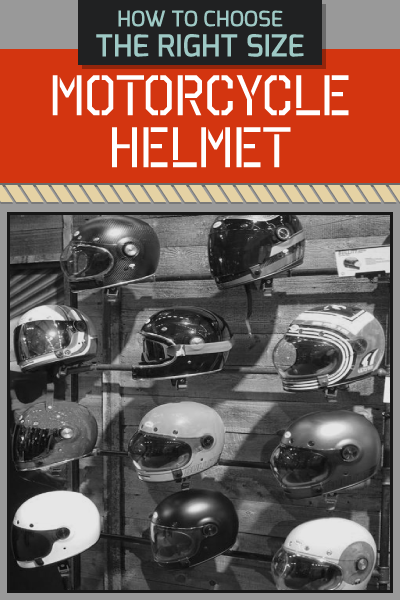 Fit: From motorcycle pants to helmets, the fit is one of the most important things to think about. The same thing is true when it comes to gloves. It is important to pay attention to the right fit because it will be highly influential of your comfort. In the same way, it will make sure that the gloves will stay on your hand in case a crash happens. It is important to take note that every manufacturer may have different sizes. Check the sizing guide from the manufacturer in case you will be buying online. It will also be good to consult with the reviews of other people to know if the size is bigger or smaller than what is advertised. Material: It is also critical to take a look at the materials that are used in the motorcycle gloves. This will have an impact on the comfort, protection, durability, and aesthetics, among other things. The leather is one of the most common choices. It is known for being good-looking and durable, especially if you choose genuine leather. It can also resist abrasion and can have a snug fit on your hand. When it comes weather protection, on the other hand, the textile is the better option. Protection: It is important to note that wearing motorcycle gloves is not simply for the sake of fashion. The more important thing is the level of protection that it can provide. Make sure that it is made from high-quality materials. It should be thick enough to protect you from crashes. It must also be able to fully-cover your hand, if possible, until the wrist. Comfort: One of the most common reasons why a lot of people hate the idea of wearing motorcycle gloves is because they can be uncomfortable. To be sure that it is going to be comfortable, see to it that the fit is right. It must also be well-designed. In addition, it will be good if it is well-ventilated. For the winter season, on the other hand, it should be well-insulated. Price: This should be the last factor that should be taken into account. We understand the fact that many people can be budget-conscious. However, the best motorcycle gloves can be expensive, simply because they have top-of-the-line features. It should be seen as an investment, and hence, there should be no hesitation for spending on such. If you exert effort, on the other hand, you can find gloves that are affordable, yet the quality is never compromised. In this section, I will provide you with a quick look at some of the top choices in the market, as well as some of the features that give them a distinction above many others. 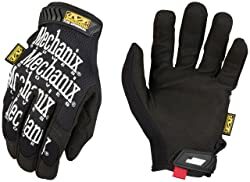 Do you want to buy motorcycle gloves that can be useful for other applications? This is one option that you can consider. At its low price, it is commendable that it is versatile. It can also be used for shooting, maintenance work, and military, among others. If the material is important for you, which should be the case, you have another good reason to take this into consideration. It is made from Form Fitting TekDry material, which is known not only for its flexibility but also for its ability to keep your hand cool even when driving on a hot day. It also comes with a seamless palm, which can be another reason why you might want to have it chosen above all others. It has a single layer palm, which can be beneficial not only in terms of fit, but also when it comes to dexterity. This is machine-washable. This makes it effortless for you to clean and maintain the gloves, providing you with the assurance that it will be long-lasting. Although not necessarily cheap, this is another option that can prove to be excellent. It comes with thermal plastic rubber closure, which will allow it to provide excellent insulation and comfort. This also provides excellent protection for the knuckles and fingers. 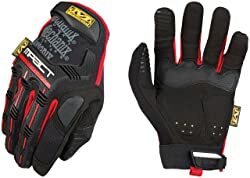 Looking for motorcycle gloves made from good materials? You might want to take a look at this model. It is constructed with .8 millimeter of synthetic leather, which is basically the one that is responsible for providing you with optimal dexterity. This can also be good in terms of being user-friendly, especially since you can easily wear it. Taking it off will also be effortless on your end. If you need gloves that can deliver a good level of protection, you might want to include this in the list of the possibilities. One thing that I personally loved about it is how it comes with reinforcements on the thumb and index. For this reason, this can also double as work gloves. Among other things, one that I can personally commend about this product is the Thermoplastic Rubber knuckle. It is even integrated with EVA padding. This will minimize friction and can also be excellent for your comfort. The TrekDry technology that is integrated into this glove is also worth highlighting. Basically, the latter will be beneficial when it comes to your comfort. It conforms to the shape of your hand, making it easy to grip. Its impact protection also deserves to be highlighted. There is no use wearing motorcycle gloves if it is not able to provide the protection that you need. It is a good thing that it comes with reinforcements in different parts to provide you with peace of mind. Lastly, you might also love the XRD open cell padding that is integrated into its palm. This will be effective in the absorption of vibration and shock, making it even better for tough rides. Such feature can be effective in the reduction of hand fatigue, and hence, ensure your comfort. This model comes with form-fitting Tech Dry, which is one of the innovative features developed by the manufacturer to provide the wearer with the highest level of comfort. This makes it excellent to be worn during the summer as it can keep your hands cool. It is even made better by the fact that it is made from Spandex. The palm is made from leather, although it should be noted that it is synthetic. It is thin and flexible, allowing it to improve flexibility. This can make it easier for you to move your palm as against others that are made from thicker materials. Are you looking for gloves that can withstand the test of time? One of the features that can possibly make this possible from this model is its double stitched construction, especially on the index finger, which is often the part that wears out first. Lastly, it has a price that will be pocket-friendly. If you want gloves with reasonable price, this is one option that you might want to include in your list. 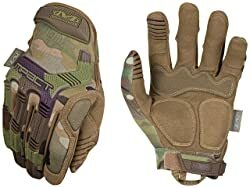 In sum, if there is one option that I can personally recommend, it would be Mechanix Wear Tactical Original Covert. The price in itself can already give you a good reason to take it into consideration. It is made by a company with decades of experience in the industry. As your top pick for the best motorcycle gloves, it can deliver excellent fit, impressive comfort, and enhanced durability. From the materials that are used to the overall design, in spite of a few drawbacks, this is one option that I believe can provide the best bang for the buck.